If you are thinking of making movies with your iPad, then you need the iOgrapher. 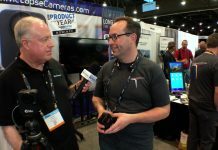 Dave Basulto explains the iOgrapher’s origins in education, why it was first produced for the iPad mini, and the features that make it more than just an iPad holder. Dave also talks about his experience as an entrepreneur in taking the iOgrapher from concept to product. 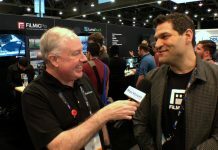 David Basulto is the media arts and animation instructor at award-winning San Marino High School in Southern California, and founder and CEO of iOgrapher LLC. Dave brings years of production and post-production experience to his classroom from a successful career producing feature films and television for firms like Icon Entertainment and Lifetime Television. His films have won awards at many film festivals, including the Toronto Film Festival. After seeing the shift to digital, he dove head first into learning as many tools as possible and fell in love with the iPad.